Red Rose Single Ended Spray. 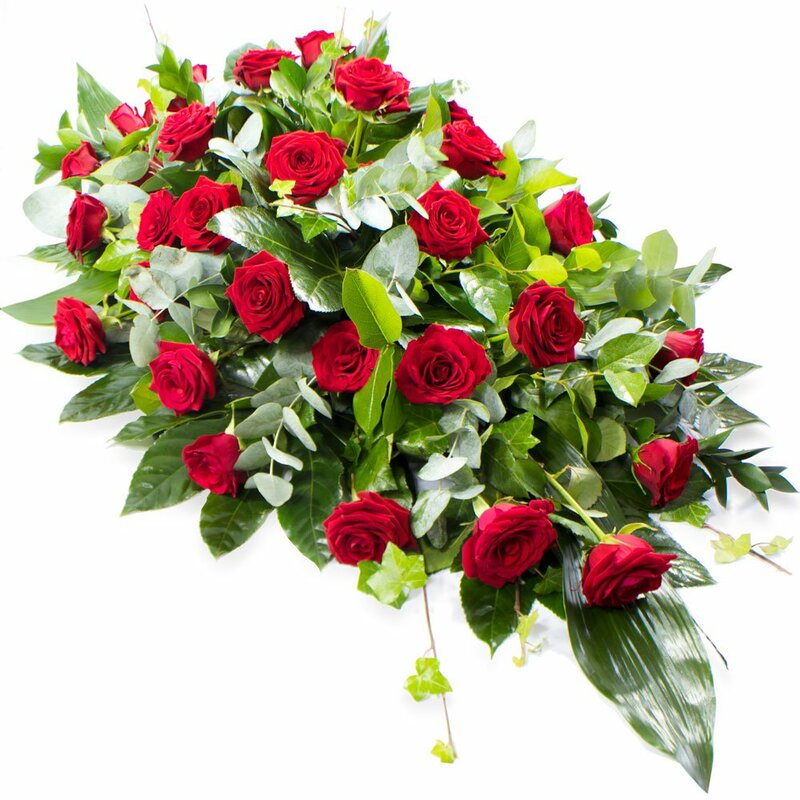 3ft Â£150 / 4ft Â£200 / 5ft Â£250 This type of funeral arrangement needs 2 working days's notice to deliver. It may be not possible to make and deliver this item like this same day. PLEASE NOTE: alternative colour schemes are avaiable. Please request in the speical instructions box.